“Just one day’s fever turned out to be blood cancer. 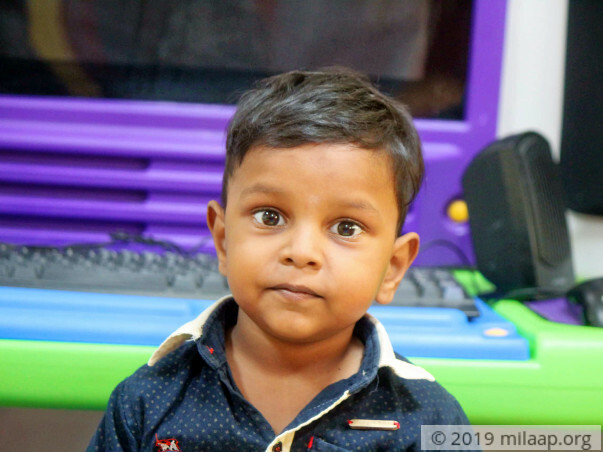 In just one day, our happy, cheerful son’s life completely changed. From waiting for school to start, to now waiting for the next chemotherapy cycle, our Punith’s childhood is over. He turns four next month, and all I worry about is whether I can somehow continue his treatment till the next week. But I’m failing. 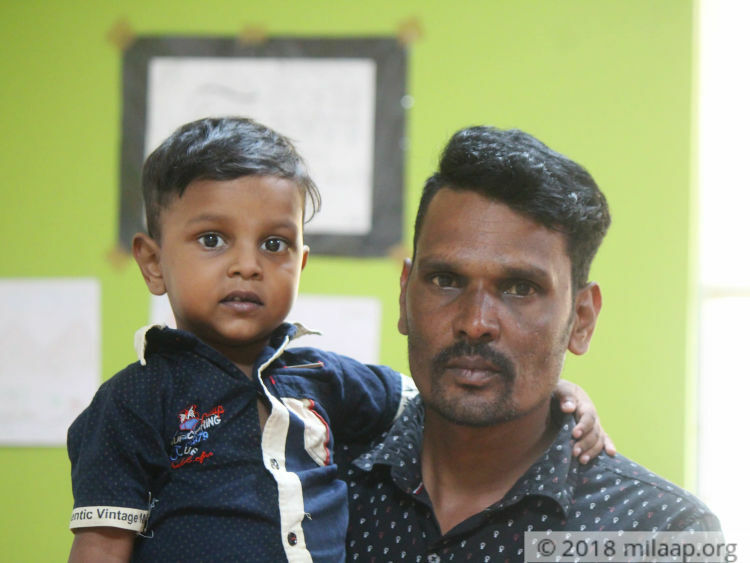 I don’t have enough to save my own son’s life.” – Siddaraju, Punith’s father. Little Punith bravely walks into the hospital, grabbing on to his parents' hand. He doesn’t complain and endures even the most painful injections by reciting the poems and rhymes he learnt in school. Punith thinks that all this will end before his fourth birthday. Little does he know that without chemotherapy, this might be his very last one. 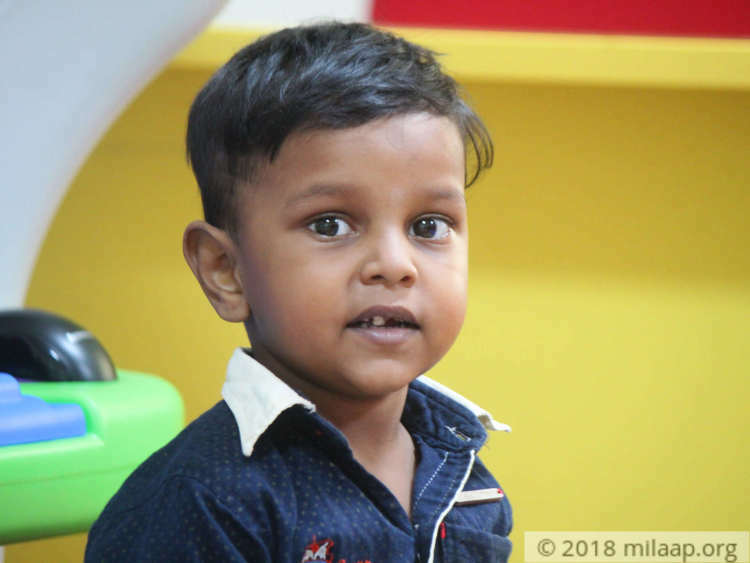 On 27 June, Punith returned home from school with a fever. By night, he was crying because of severe leg and back pain. 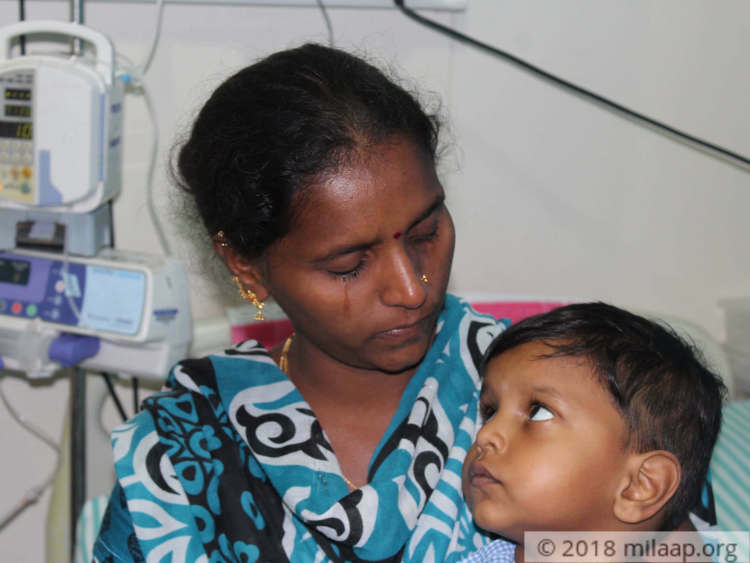 Jyothi and Siddaraju wasted no time in taking him to the doctor the next day. They immediately got blood tests done. Little Punith has started chemotherapy two days ago. 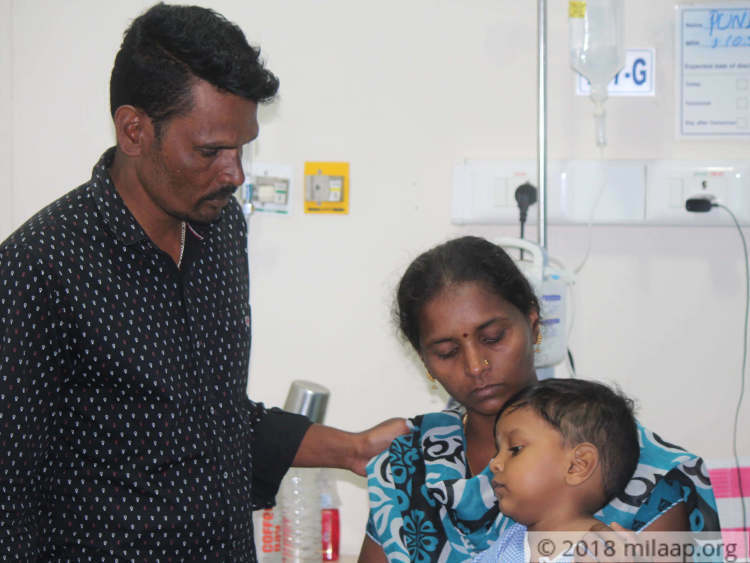 Jyothi and Siddaraju took help from their relatives to start his treatment, but the road to his recovery is full of hurdles for his parents. 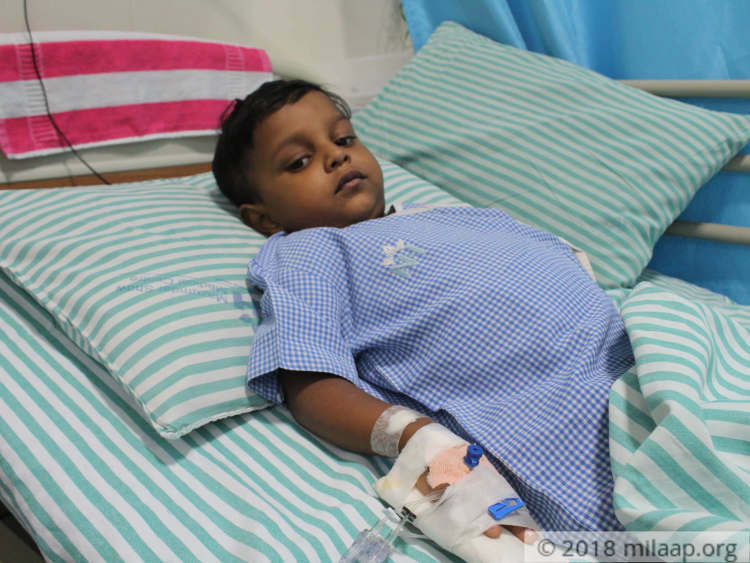 Punith needs to continue chemotherapy for the next few months to have a fighting chance to beat cancer, but his parents are struggling every day to manage his medical bills. Siddaraju works as a construction worker and earns Rs. 400 per day, on a good day. There are days when Siddaraju gets ready for work, only to reach the site to realize that there’s no work for him that day. As irregular as his work is, Siddaraju has always done his best for his family. But now, he’s wracked with guilt. 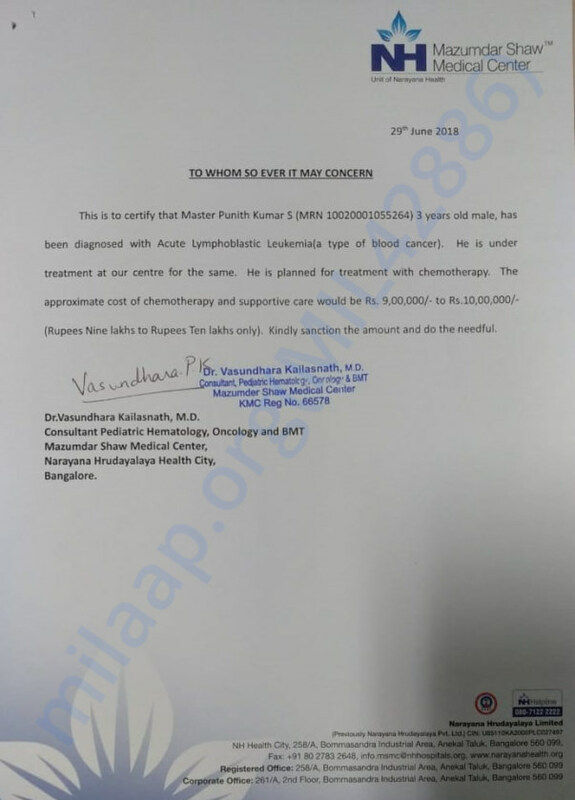 Punith needs chemotherapy to survive blood cancer. All this 3-year-old wants to do is go to school and play like all his friends do. Punith has stayed brave so far, but his parents’ faith is broken. His father’s meager income isn’t enough to get him through the entire course of the treatment. Without timely treatment, Punith won’t make it. The little one needs your help to fight cancer. I am extremely grateful to all of you for the love and support. Punith has been responding well to treatment. Three cycles of chemotherapy have been completed. He has mouth ulcers, fever and nausea as a side effect of the therapy. The doctors plan for three more cycles of chemotherapy in the next few weeks. Also, they plan to conduct blood transfusion once in a few months dependent on his response to treatment. I thank you for the support and request you to continue praying for his speedy recovery. Here's a quick update on Punith. Currently he is on chemotherapy. He is responding well to the treatment and doing good. We are hopeful about his recovery. 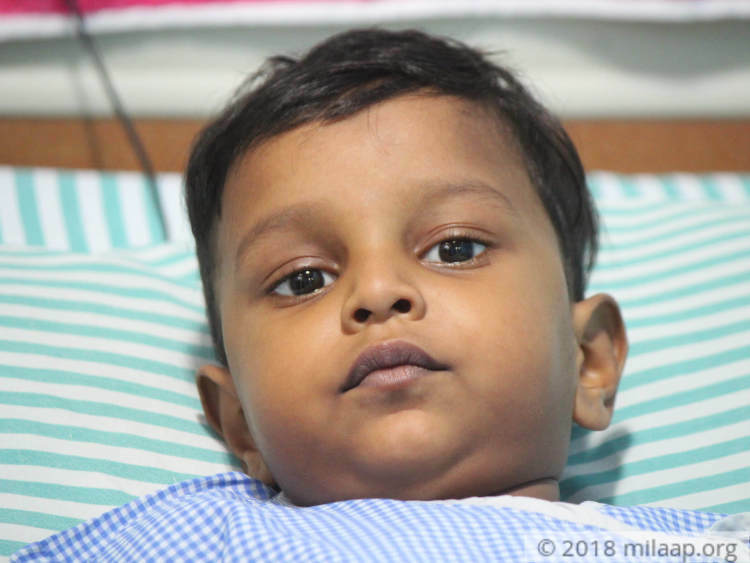 Punith is on his next cycle of chemotherapy and is responding well to the treatment. We will keep you posted on his progress.